Corticosteroids (steroid medications): A 1999 study published in the journal Phytotherapy Research found that the primary polyphenol in turmeric, the saffron colored pigment known as curcumin , compared favorably to steroids in the management of chronic anterior uveitis, an inflammatory eye disease. A 2008 study published in Critical Care Medicine found that curcumin compared favorably to the corticosteroid drug dexamethasone in the animal model as an alternative therapy for protecting lung transplantation-associated injury by down-regulating inflammatory genes An earlier 2003 study published in Cancer Letters found the same drug also compared favorably to dexamethasone in a lung ischaemia-repurfusion injury model. Another way in which turmeric and its components reveal their remarkable therapeutic properties is in research on drug resistant- and multi-drug resistant cancers. 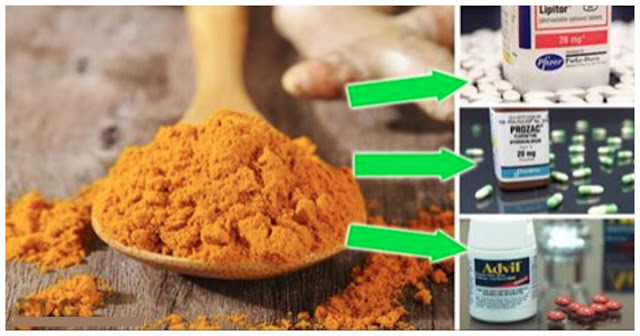 We have two sections on our site dedicated to researching natural and integrative therapies on these topics, and while there are dozens of substances with demonstrable efficacy against these chemotherapy- and radiation-resistant cancers, curcumin tops both lists. Or, better yet, use certified organic (non-irradiated) turmeric in lower culinary doses on a daily basis so that heroic doses won’t be necessary later in life after a serious disease sets in. Nourishing yourself, rather than self-medicating with ‘nutraceuticals,’ should be the goal of a healthy diet. [learn more at Sayer Ji’s new collaborative project EATomology.